Lisa Lanna, General Manager of Newsday Communications (the revenue generation division of ETS), was recently featured in Meetings & Conventions Magazine. Shuttle bus graphics rival every other type of visual advertising at meetings and conventions where exhibitors try to grab the attention of attendees. They are great for exhibitors who want to raise brand awareness, announce a new product or service, and drive potential customers to their exhibits booth. 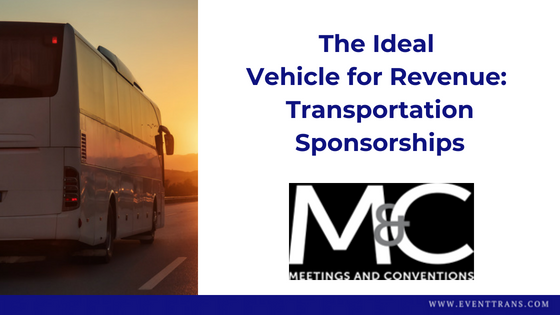 AND, they are great for meeting planners who are looking for ways to generate additional revenue and subsidize the cost of transportation management services.